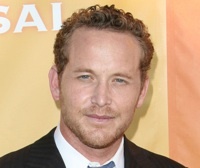 20th Century Fox’s 2013 sequel, A Good Day to Die Hard, has lined up another actor in Cole Hauser, Deadline reports. He’ll play a villain by the name of Collins. A Good Day to Die Hard puts Bruce Willis’ John McClane on an international stage — truly a NYC fish out of water in Moscow — and introduces his estranged son Jack (Jai Courtney). An apple that has not fallen far from the tree, Jack may even be more of a hardass than his father. Despite their differences, they must work together to keep each other alive  and the world safe for democracy. Hauser, who has previously acted alongside Willis in Hart’s War and Tears of the Sun, also joins Sebastian Koch and Yulia Snigir in the February 14th, 2013 release.